~Mrs. Mathis' Homeroom~: My First Linky Party! 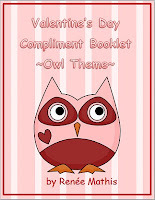 Check out her blog for many amazing resources for the month of February! Many fellow teachers have contributed. I got this idea from a teacher that I worked with while living in Alberta. She had a booklet for each student, and on the back, she added a class list. The students wrote their names on the front page, then put them back on the back table. Through the week, whenever students had free time, they picked up a booklet, wrote a positive message to that student, put a checkmark beside their own name on the back cover, and put it back on the table. Students were very eager to participate and it's an idea that stuck with me. So I gave it a try last year when I had my contract. 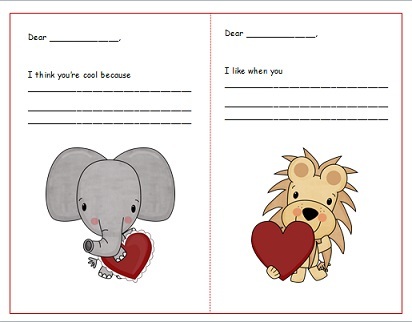 The booklets I made for my students weren't this cute though. I just made them out of red construction paper and allowed them to decorate them themselves. My students were very receptive to the idea. We were having some issues between some of the students and I was a bit worried that they wouldn't write nice things to each other, but they all did. The activity made them look deep inside themselves and they all found at least one positive comment to tell everyone else. The Educational Assistant and I even participated! On Valentine's Day, I handed out their Compliment Booklets and I think the kids were more excited about getting these than they were to exchange cards and candy. It was beautiful to watch them read their comments and watch the smiles on their faces get bigger and bigger with each page. Parents called me and sent notes to school to thank me for this great activity, and many students told me that they would keep this booklet forever. I was so proud of "my kids"! Since I don't have a contract this year, I've had time to work on more resources. 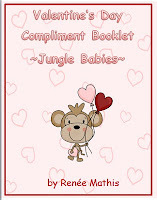 I've created these two versions of the Compliment Booklet, one with a Jungle Babies Theme and one with an Owl Theme. Even though I used this at the primary/junior level, I am convinced that older kids would love this as well. I look forward to using these in my next class!! Enjoy! Let me know how this works out for you! Wow! What a great idea! Thanks for sharing! I think I will give it a try in my class this year! I'll let you know how it turns out! Love the blog! Your logo is so cute! I did a similar activity with my class as "punishment" after a nasty bullying incident right before Christmas. Since they had to write something to everyone in the space of a half hour, at first they thought it was going to be rough. But since we'd shared ideas a little bit each day that week, it was actually really easy for them, and by the end they were really into it. They loved reading what others wrote too, of course. 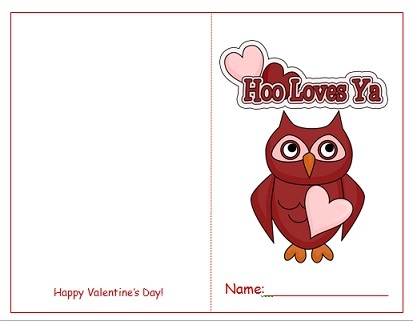 I like your idea of having the booklets as an independent activity; maybe I'll try that next year! What a great idea. I wonder if it work with middle school or high school students? I think it would definitely work with middle school, but I'm not sure if high school students would take it seriously. But then again, they might surprise us! If you try it with older students, let me know how it works out!